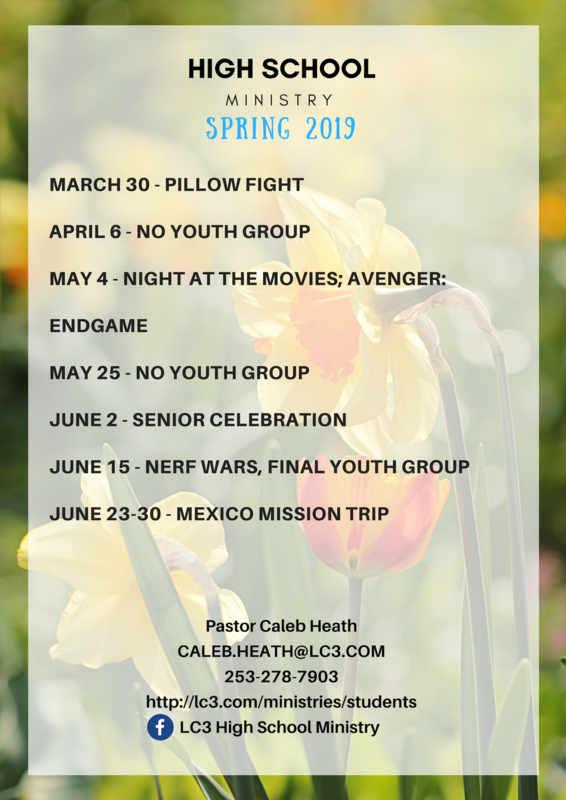 HSM is our High School Youth Ministry at Lake City Community Church. This group serves grades 9-12 in the greater Lakewood/Steilacoom/DuPont area. Our goal is to lead students to love God, love others, and love the world. We accomplish this through relational ministry provided by a great team of caring adults and by partnering with parents and families. We offer a Saturday night large group as well as Tuesday night small groups that focus on discipleship and accountability. We also enjoy events and camps as a community while also having faith conversations. Our Middle School Ministry (MSM) at Lake City Community Church serves grades 6-8 in the greater Lakewood/Steilacoom/DuPont area. Our goal is to lead students to Love God, Love Others, and Love the World. We accomplish this through relational ministry provided by a great team of caring adults and by partnering with parents and families. We offer a Tuesday night Large Group as well as Sunday night small groups that focus on discipleship and accountability. We also enjoy events and camps as a community while also having faith conversations.